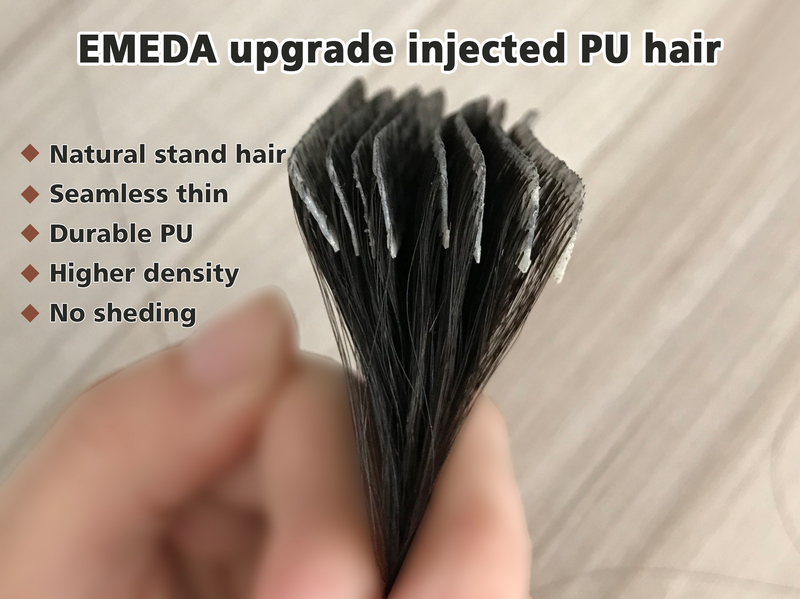 Emeda Clip-in Hair extensions using the best remy hair material, soft, silky, no tangle and no shedding. 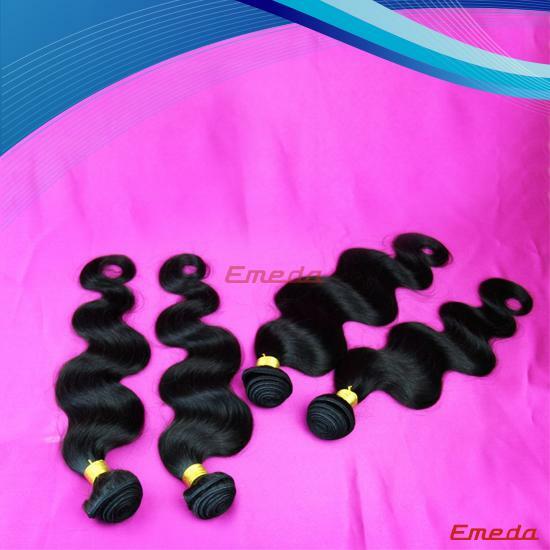 Remy hair is the highest quality human hair on the market. 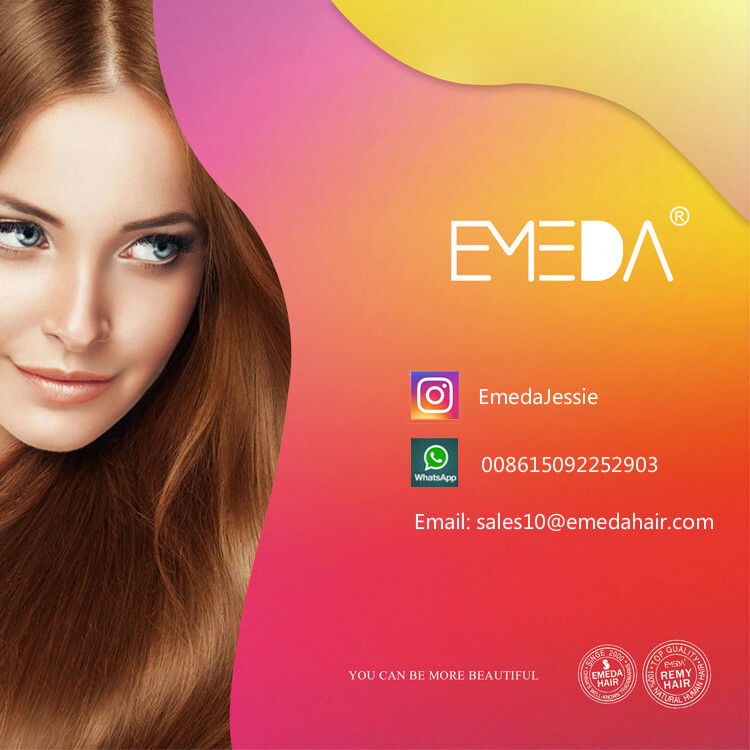 Unbelievably versatile – the set naturally blends with your own hair and can be styled with hot tools.Different design can be available for you.Lowest wholesale price for you.Different weight can be design for you. 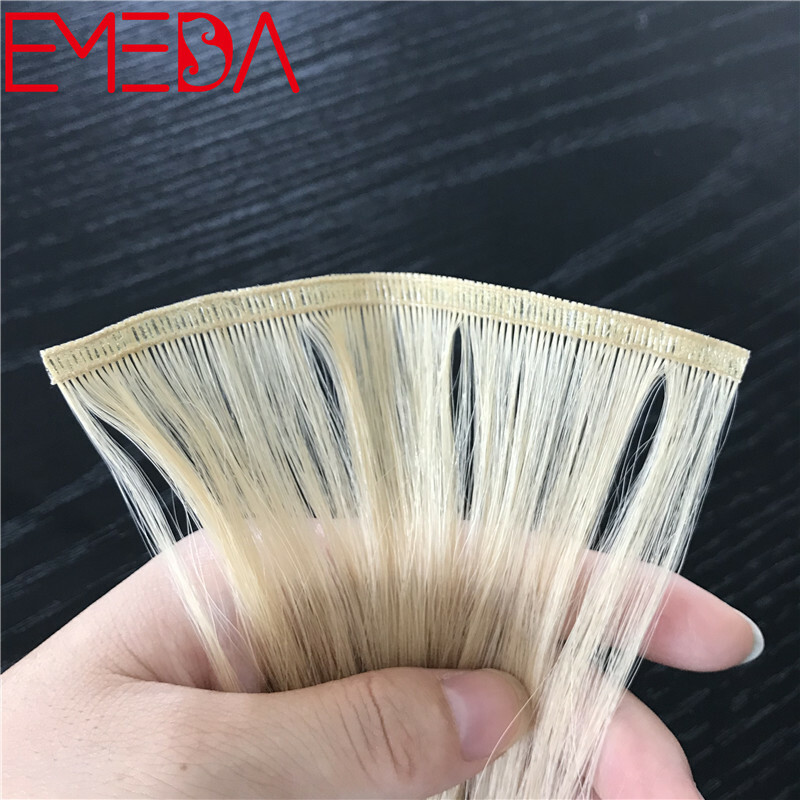 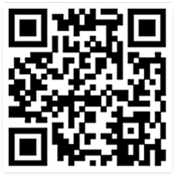 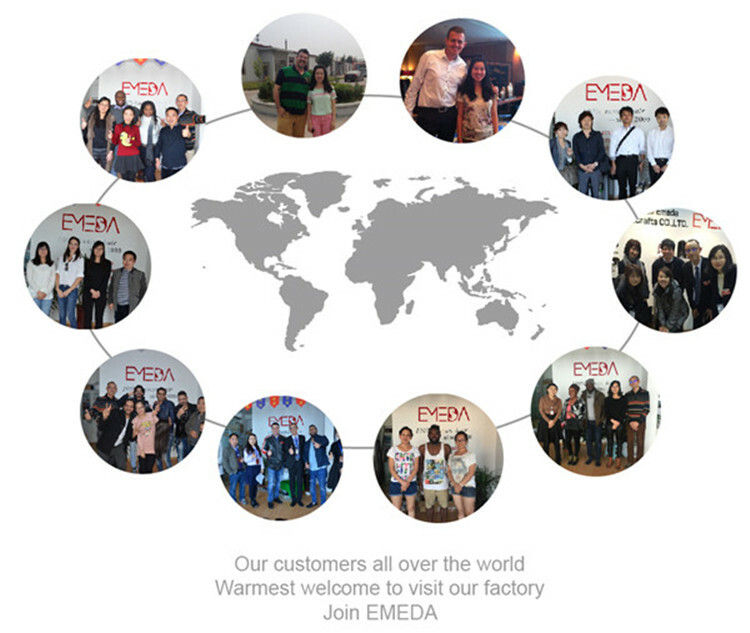 Emeda Hair is the leader for the best clip in hair extensions. 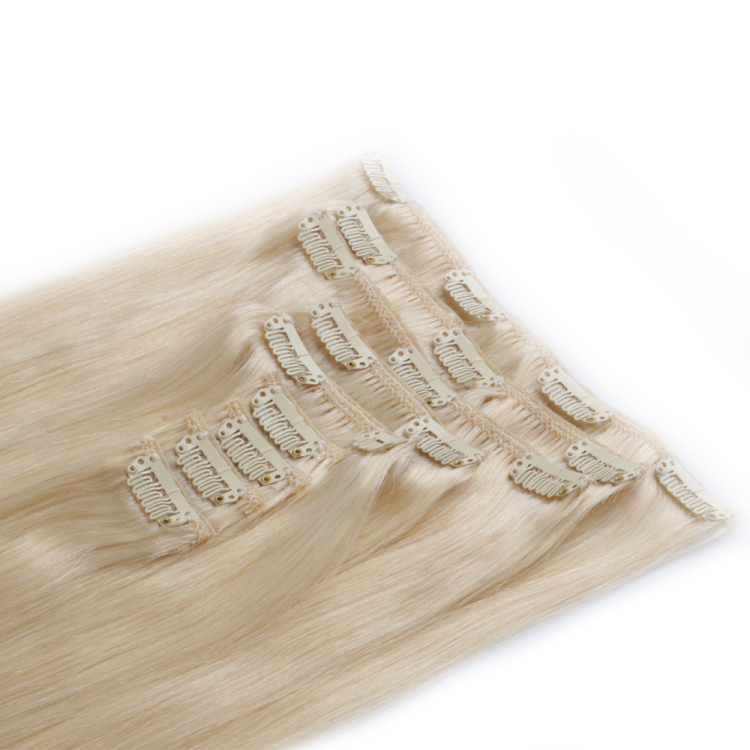 Our clip-in designed as the longer, full thicker hair you have always like. 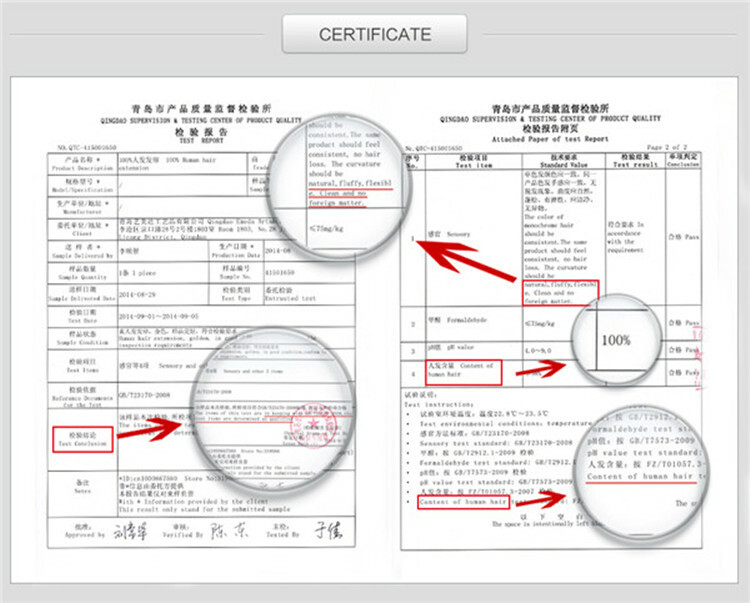 This is the safest method of hair extensions, and the easiest to achieve and keep stable. 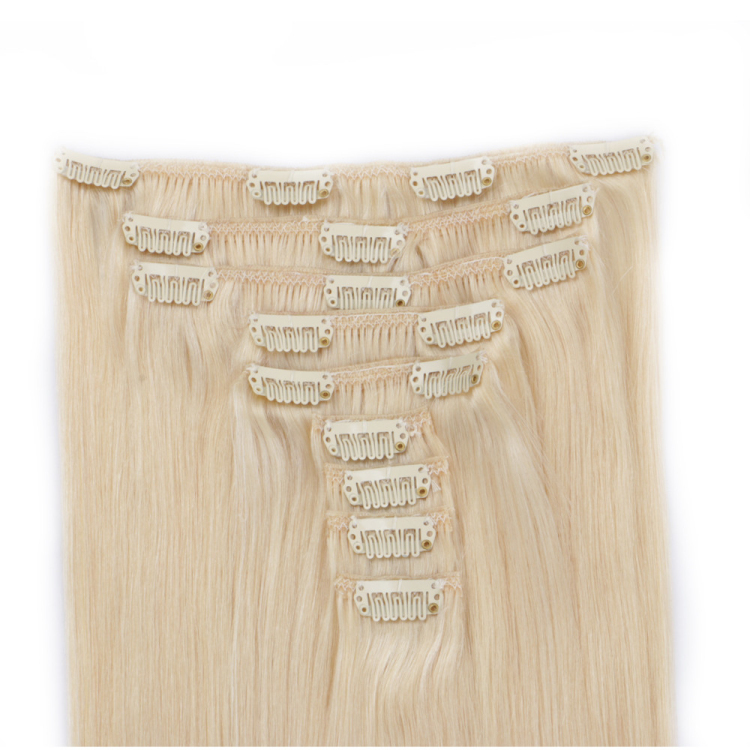 Each clip has a non- slip,silicone coating that secure your extensions comfortably, and prevent slipping. 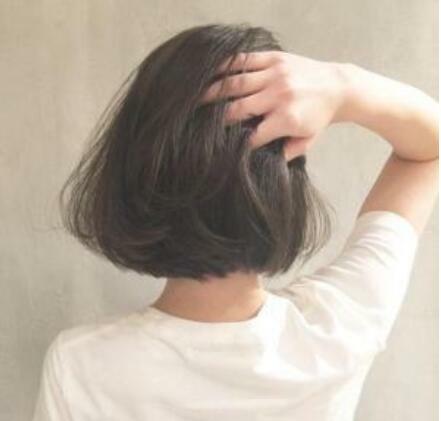 You can have longer and healthier hair that will last, without damaging your natural locks. 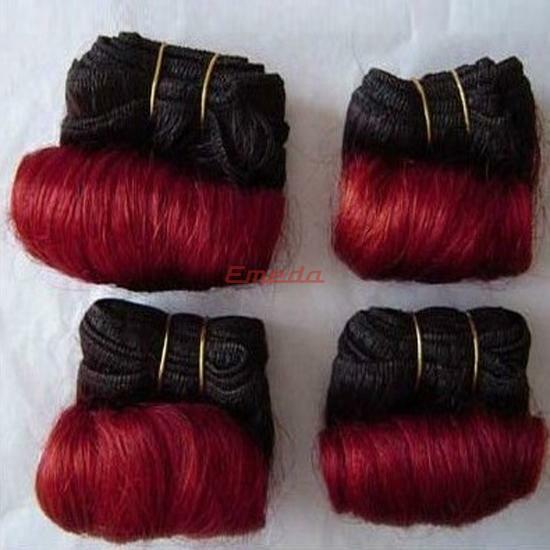 Our clip-in method is safe to your natural hair, and takes only minutes to wear. 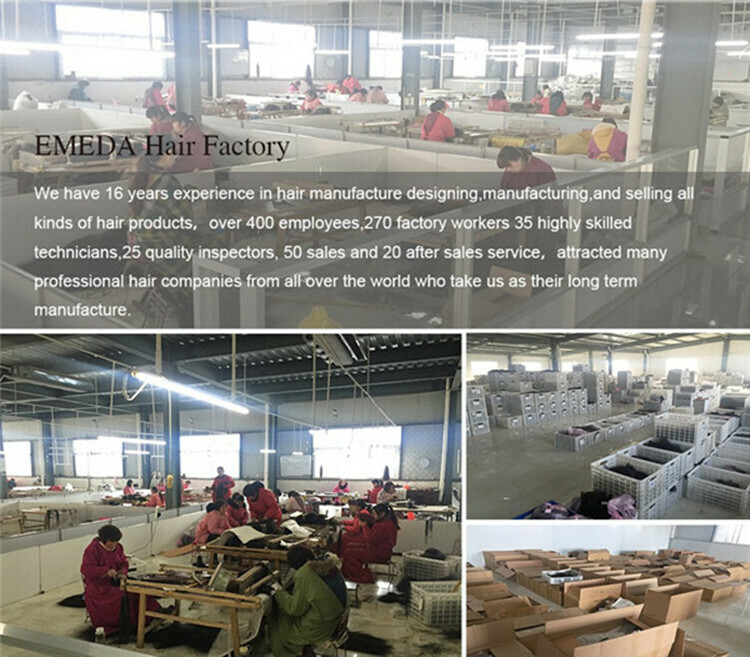 As the leader hair factory, we know the fashion trends in the market, welcome order from us. 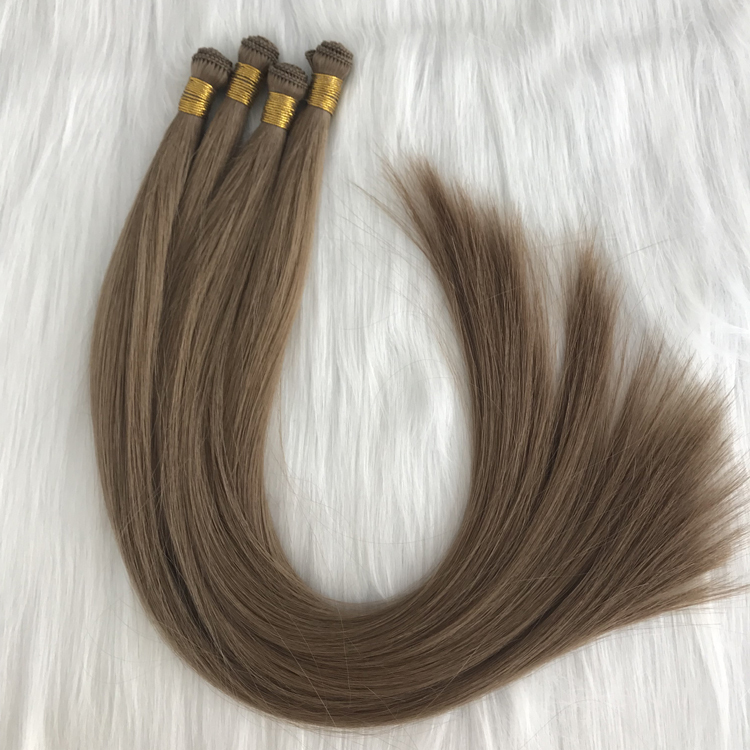 Our hair material is Indian remy hair, no tangle and no shedding. 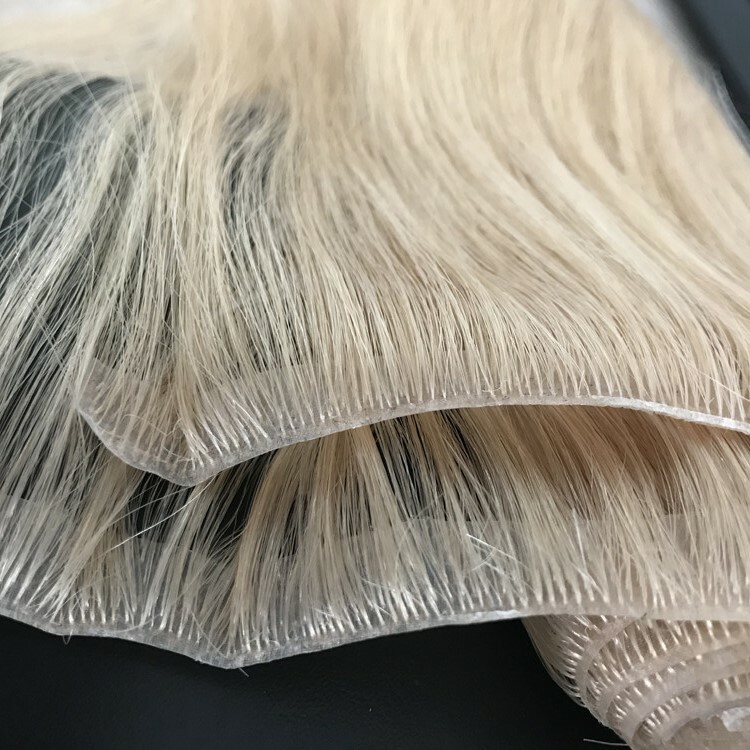 The blond color is pure no other mixed. 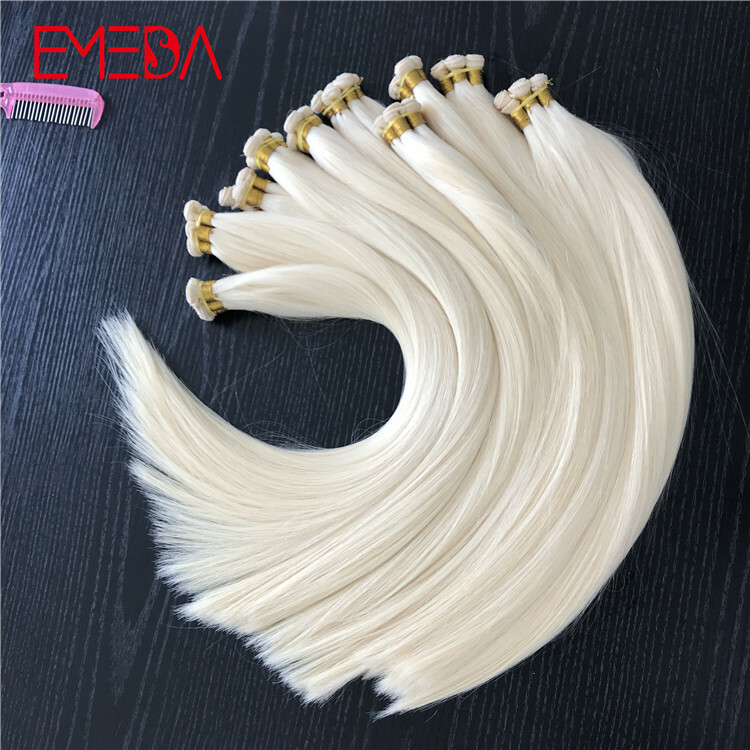 120g as one suite, it is light and easy to apply on head. 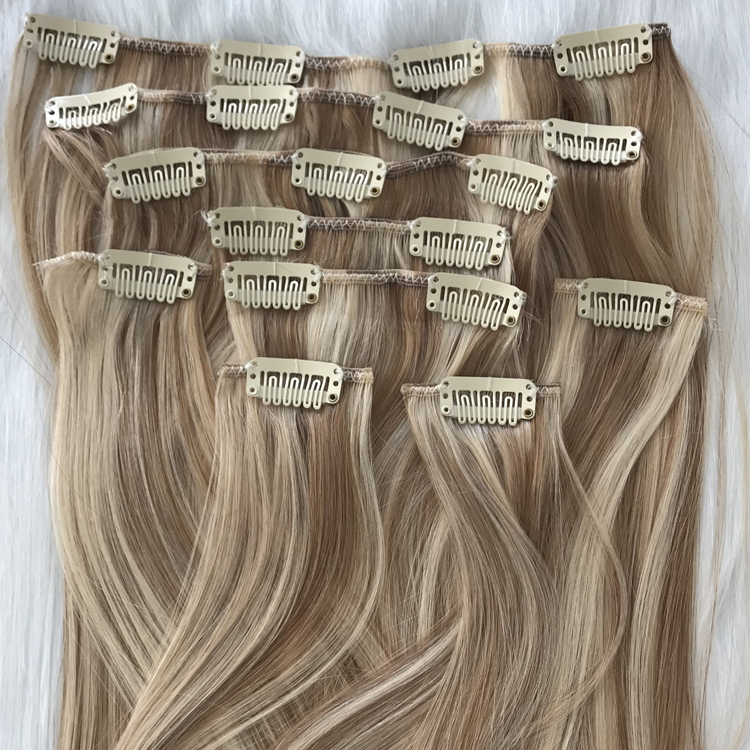 Small clips nice attached stable on the wefts. 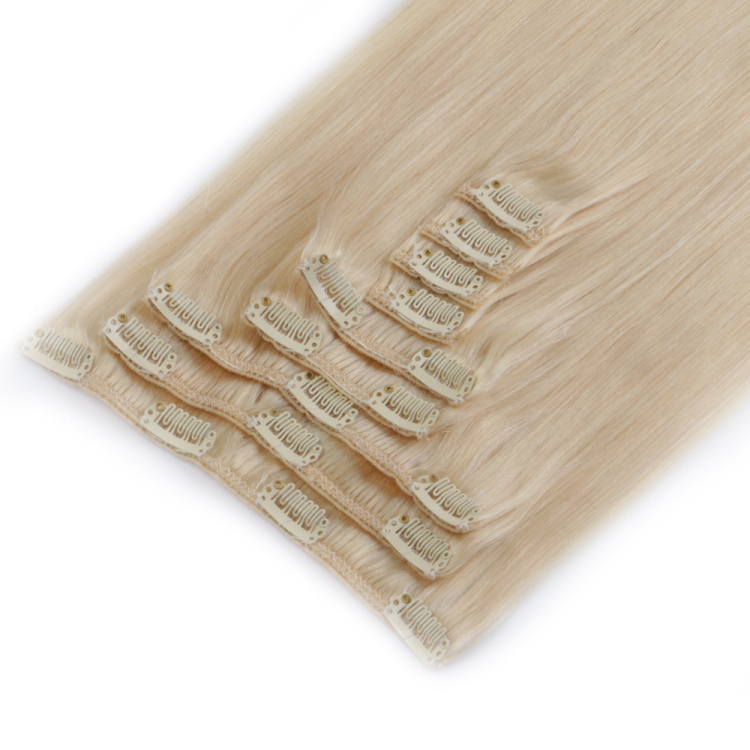 Here can add different quantities clips on the wefts as your own requirements. 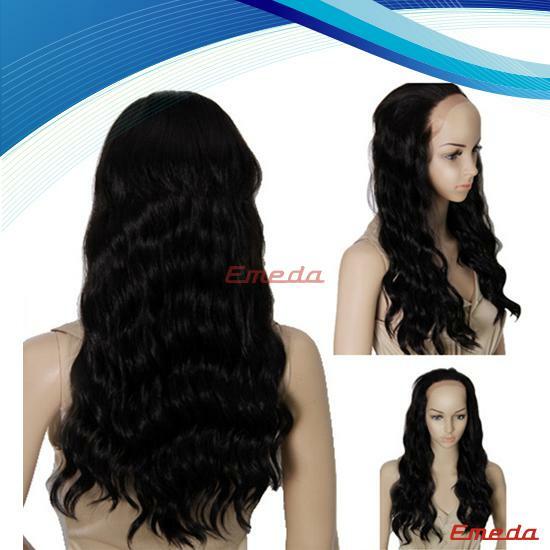 Double drawn full hair ends, no short hair, it is amazing look when customers install them on head. 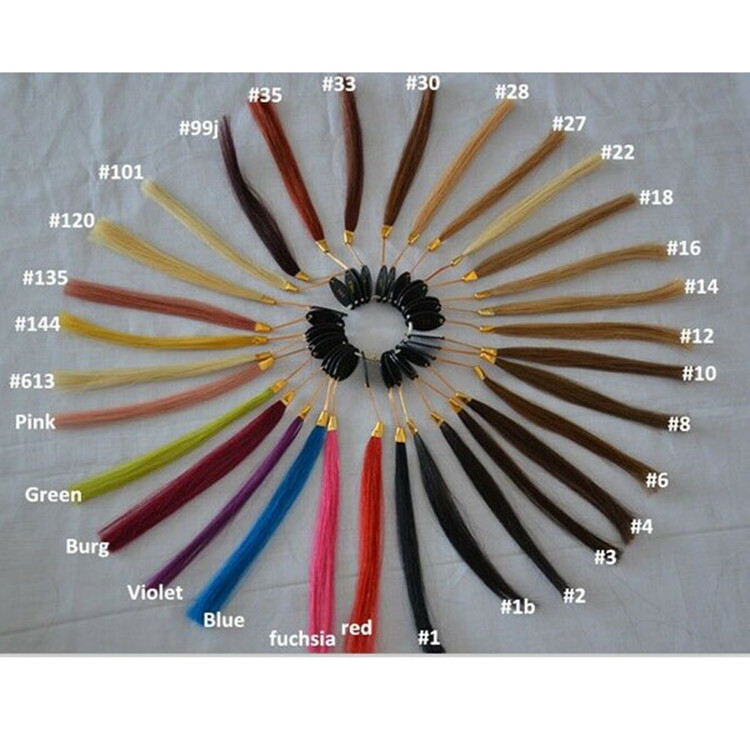 Different colors can be designed, dark color, light color, brown color and light blond colors. 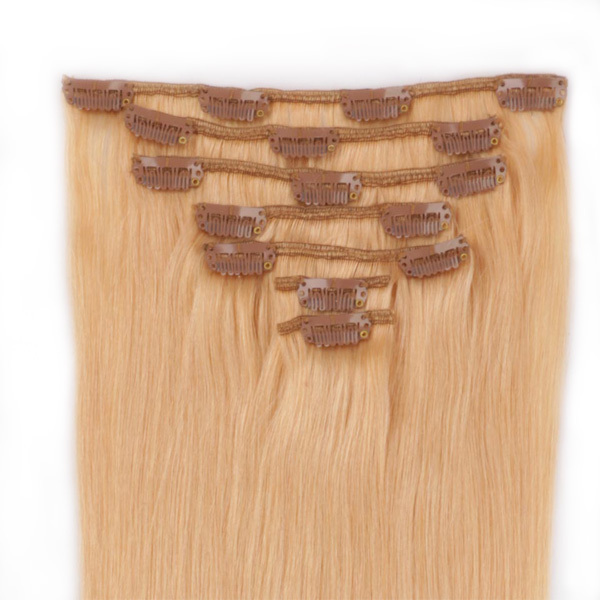 Small nice clips be attached on wefts, make it is easy and stable when customers intall it.